The Globe and Mail called this "Binchy's best read in a decade" and I would tend to agree. I didn't read her last book (Whitethorn Woods) because I was so disappointed in Nights of Rain and Stars. In this book Binchy brings together characters from some of her previous books with some new characters. One of the new characters is Clara Casey who is the newly appointed head of the Dublin heart clinic. Clara is separated from her husband but has her two daughters living with her. As if it wasn't stress enough to get the heart clinic up and running her husband wants a divorce so he can marry the pregnant woman (not much older than his daughters) for whom he left Clara. In order to stop thinking about the husband Clara plunges herself into the business of finding the right personnel for the clinic. One of the people she hires is Fiona who had a central role in Nights of Rain and Stars. Clara also hires Ania, a Polish immigrant who shows up in the car park next to the clinic one morning, to be the runner and general dogsbody. Quentins, the upscale restaurant from the book of the same name, makes several appearances and the catering couple from Scarlet Feather also show up. But the characters I was most happy to see were Nora and Aidan from The Evening Class. Aidan has a serious heart attack and they go to the clinic for advice on healthy living although Nora is convinced Aidan is going to die an early death. Clara manages to convince Nora to give the clinic a whole-hearted try for 6 weeks. Of course, before the 6 weeks is up Nora and Aidan are great supporters of the clinic. Book Descripiton With the warmth, humor, and compassion we have come to expect, Maeve Binchy tells a story of doctors and staff, patients, family, and friends at a heart clinic in a community caught between the old Ireland and the new. Dr. Clara Casey agrees to take on the seemingly thankless task of establishing a clinic with little funding—for a year. With her own plate full—two troublesome grown daughters and a needy ex-husband—she is still able to gather a wonderfully diverse and dedicated staff. And before long she has done the impossible, made the clinic a success and a part of the community. Now Clara must decide whether or not to stay. In memory of my dear younger sister Renie. And with great love and thanks to Gordon who makes the bad times bearable and the good times magical. Some projects take forever to get off the ground. 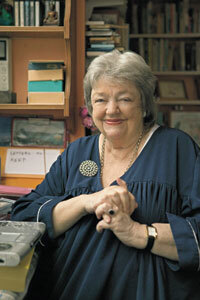 Heart and Soul is Maeve Binchy at her storytelling best.